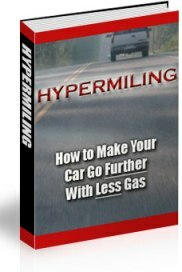 Why has Hypermiling become so Popular Recently? What Can You Remove to Make Your Vehicle Lighter? Is it Time to get a New Vehicle? This PDF report includes Private Label Rights. Just $1.00!